Get ready for summer with summers favorite snack. The Dolfin Girls Uglies Sweet Slice depicts a fun graphic of a watermelon! 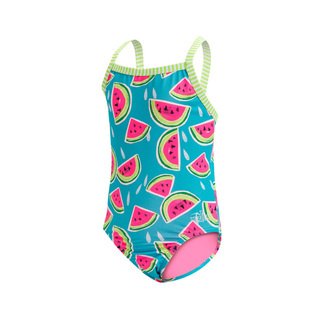 Just in time for playing out in the sun you can not go wrong with this cute, outgoing swimsuit.